These figures are formed with a process using over 90% Carrara marble to produce an excellent finish. This piece has been hand polished with veining to give a more natural and realistic appearance to LVS Decorative Art's own specification - please note the veining can vary on each individual figure. 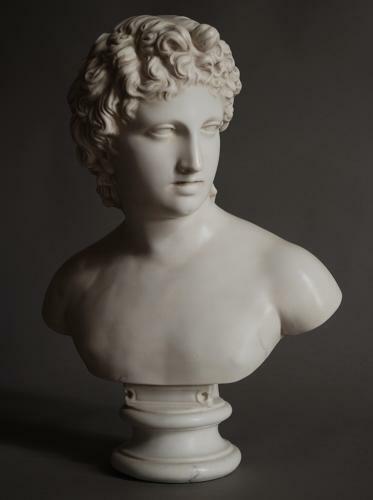 We have had many enquiries for marble figures over the years and these figures allow clients to purchase a high quality copy of an original sculpture for a fraction of the cost of an antique piece.